One of the main concerns homeowners have when replacing their roof in winter is the effect it will have on their daily activities. After all, most roofing systems need to be completely removed first before a new one can be installed. Metal is lighter than other roofing materials, which means it can be installed over an existing roofing system. Despite its light weight, a metal roof can easily support heavy layers of snow without buckling. When installed properly, a metal roof can create an effective barrier between your home and the elements to help prevent heat loss and maximize energy efficiency. In fact, it can offer you the best defense against the cold weather. To make the most of this investment, make sure to turn to Rogers Roofing for a flawless roofing installation. Snow can quickly accumulate on your roof, regardless of material or style. Too much snow, however, can weigh your roof down and compromise its structural integrity. You won’t have this problem with a metal roof as it allows snow to slide off easily as soon as the temperature rises. 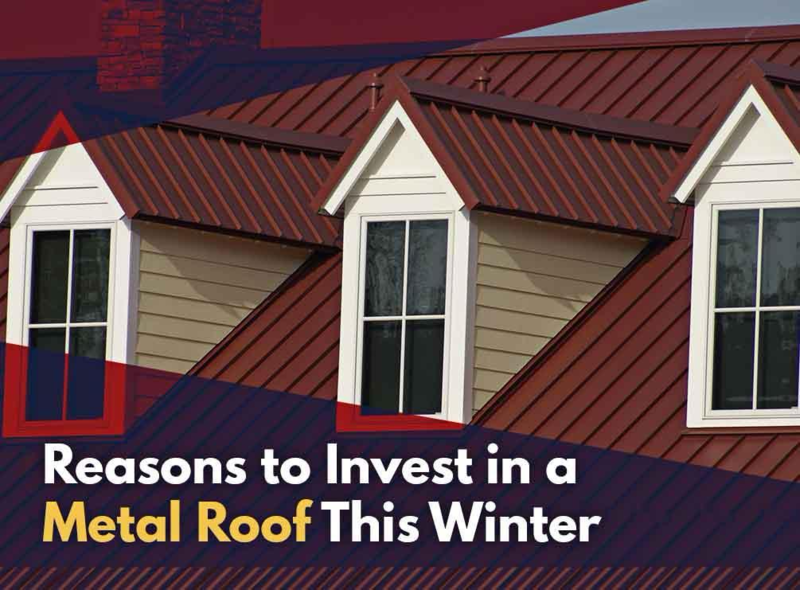 Interested in a metal roofing system for your home? Learn more about its features and benefits from Rogers Roofing. As a trusted installer of this material, we can show you why metal roofs have been rising in popularity in the recent years. Call us today at (773) 492-2270 to request a free estimate. We serve Tinley Park, Munster, Dyer and the surrounding Illinois areas.